It was about 10 years back when this particular machine was introduced to the world. It was created with a sole purpose in it’s design, it was meant to be the best in it’s field. But not everything turned out according to plan. Following a succession of failure and negativity in their involvement with motorsports, they were force to be drawn out from the global eyes entirely into a very long hiatus. 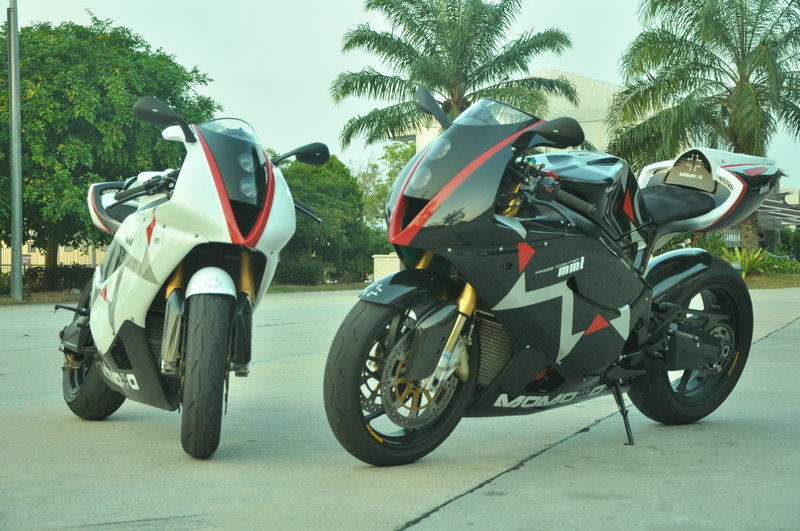 That is until now, where it is back to join the exciting world of motorcycle. Once a phenomenon in the history of Malaysian motorsports and motorcycle industry, highly praised and highly criticized at the same time by the general public and the media. The story of this particular bike is truly unique and clouds with secrecy. A new personality but at the same time retaining it’s original soul. The Momoto MM1, a legend that is back from it’s hiding saying hello to world of motorcycle. Malaysian Riders was very-very lucky and honored to be part of a this and to be present in witnessing a history in the making. 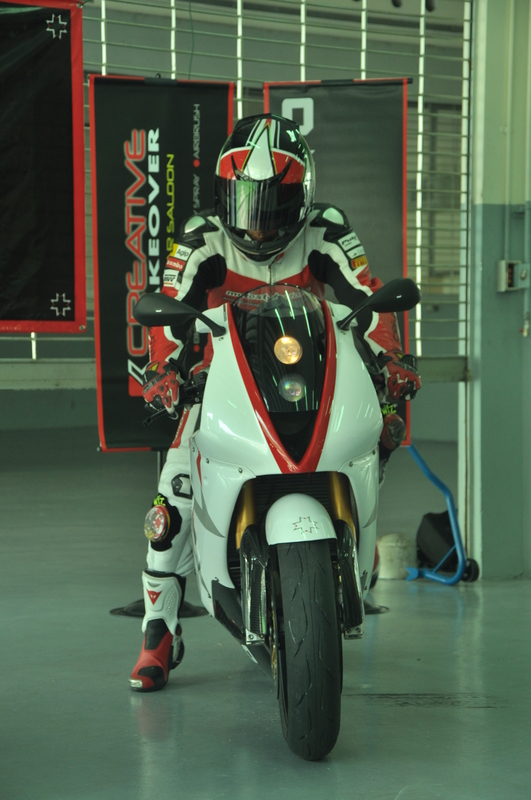 It was a simple event which was held in Sepang International Circuit with no intention in announcing the bike officially. That will be done later this year and we are hoping that we will be part of it too. 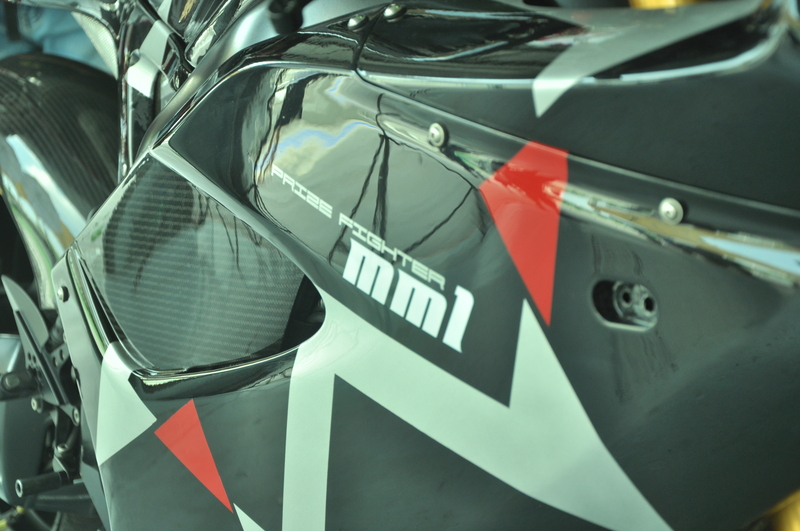 The MM1 is surely a fantastic bike even by just looking at the photos, but it is even amazing up close in person. Immediately after we sat on the bike, we really felt that the bike is something else. Something very unique and historical, and we like to agree with what MCN that it is something special. Feel free to watch the video below and do remember that this is only the beginning. Not much we can say about the bike as we haven’t really test it as what we hope for, but it is highly possible to be happening in the future. We will try our best to bring the best story and information to all of you. bpe cc ni..? biler nak launch..? The bike will be later launch this year.. the bike price will be revealed soon..
Has there been any upgrade done to the engine, gearbox, brakes and suspension of the motorcycle? Tail design also looks dated. Is the idea to sell the 10 year old technology on this bike with new colors? If it is then shouldn’t it be called the FP1? i saw this on the road,in Putrajaya to be exact. I’ve talked to the rider,he was nice. The sound was fantastic,inline 3 plus the dry clutch..the rider said to me that the number of production is a secret for now. He told me that they are going to launch sometime around this year in 2013. Can wait to see for it, i hope it is priced fairly and it should be mass produced for people to enjoy this one of a kind 900cc inline 3 machine. By the way,the plate number of the bike i saw intrigued me. B164S, i wonder what kind of plate number that is and how he got it. Unfortunately, i didn’t ask him about that.